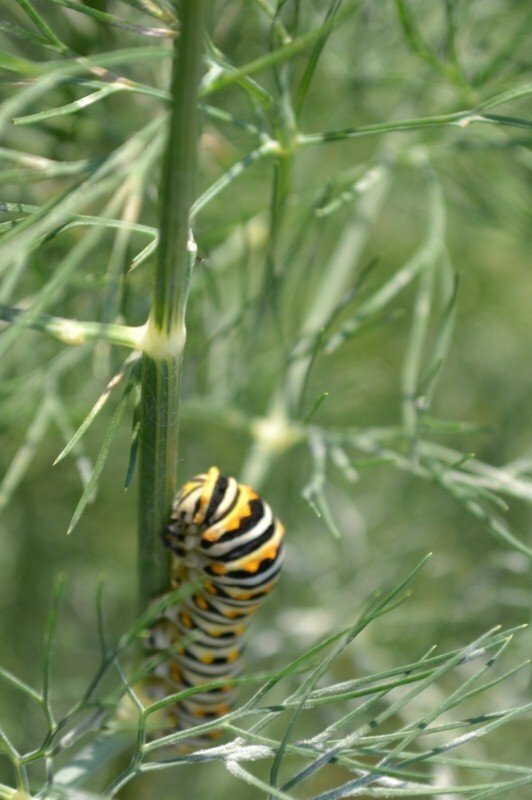 Dill is a favorite food of the black swallowtail butterfly. So, when you plant dill, it is a good idea to add a few extra plants for the caterpillars to snack on. But the plants can bounce back after the caterpillars make their chrysalises, or the caterpillars may not show up in your yard at all. This can leave you with a lot of dill when the plants get ready to bolt and go to seed, or with a large number of volunteer sprouts the next spring. It also leaves you with the question: What to do with all that . . . dill? If you are also growing cucumbers, the obvious move is to make dill pickles or dill relish. (Always use a trusted recipe, and follow it exactly. You need to make sure the contents of your pickle jars have a pH less than 4.6, in order to prevent the growth of dangerous bacteria.) 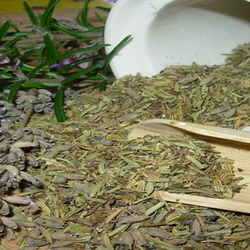 Whole fresh dill heads can be safely substituted for dill seeds at a rate of 1 fresh dill head for 1 tablespoon of dried seeds. These can look quite decorative in the jars. In Greek cuisine, cucumbers and dill come together in tatziki, a sauce based on Greek yogurt. To make a batch two cucumbers are seeded, then minced (or in more modern terms, whirled in a food processor) together with a clove or two of garlic and a tablespoon of fresh dill, along with about three cups of Greek yogurt. Taste it, then season to taste with salt and pepper. Pour the sauce into a bowl, cover with plastic wrap, and chill for at least two hours to allow the flavors to mingle. 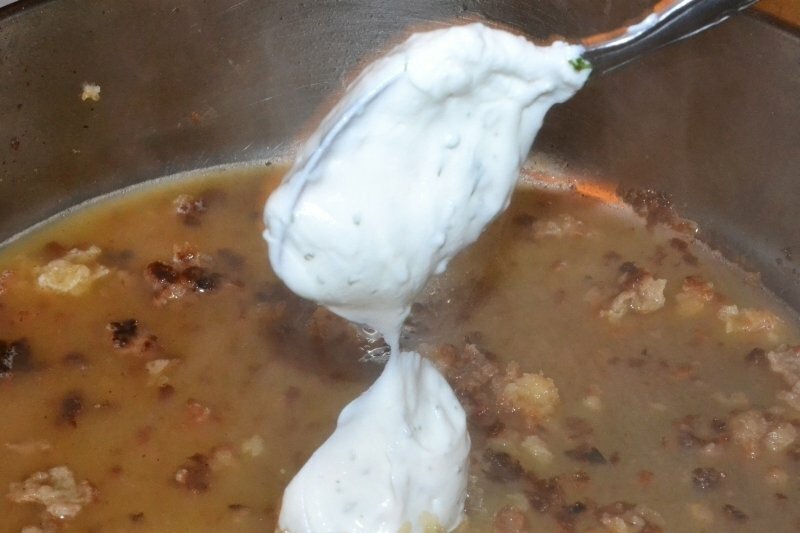 Serve this sauce on gyros or other Mediterranean dishes. Dill is also lovely in combination with potatoes. My favorite way to combine them is to take a dozen small new potatoes, which I scrub well and then quarter. Then steam them until tender. 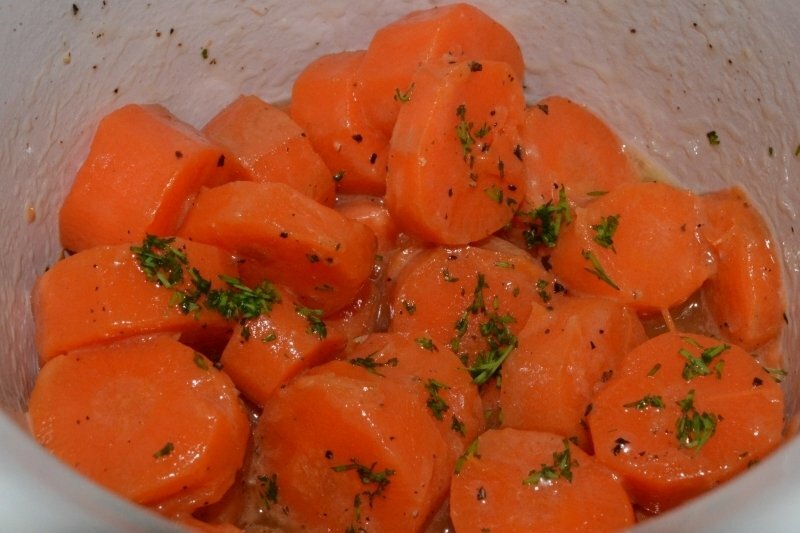 Place the potatoes into a large bowl, then toss them with a blend made of three tablespoons of softened butter, a generous pinch of salt, a tablespoon of fresh dill weed and a clove worth of pressed garlic. 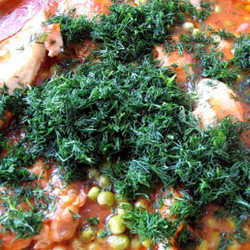 Dill and lemon combined with butter or olive oil can also be tossed with other vegetables, such as carrots or green beans. Dill is commonly paired with eggs. Sometimes this is accomplished by adding dill pickles or chopped dill relish to dishes such as egg salad, deviled eggs or egg-laden potato salad / chicken salad. A "fresher" tasting version of these dishes can be made using fresh dill and lemon juice. Perhaps the simplest dill preparation is scrambled eggs with dill. Make the eggs as you would normally, only toss in a teaspoon of dill. For a creamier result, also add a tablespoon of either mascarpone or cream cheese. 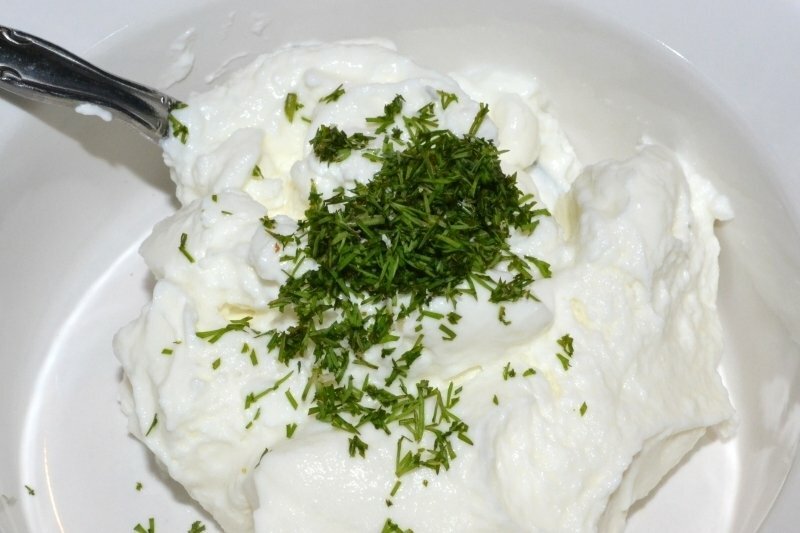 Goat cheese is another cheese that blends naturally with dill. This flavor translate well to a quiche. A lot of people make quiche versions that highlight salmon with the dill and goat cheese, but you can make a vegetarian version filled with pieces of asparagus, mushrooms and roasted garlic, or carrots and Vidalia onions. In Scandinavian regions, they do a sweetened dill sauce with a spicy mustard base. It is served with gravlax (salmon cured in salt, sugar and dill, a preparation which echoes the flavors of the sauce). As the salmon example shows, dill goes perfectly with fish (think about the dill note in tarter sauce). You can blend fresh dill weed with butter, spoon it into mounds on a metal baking sheet lined with parchment paper and freeze for a few hours to serve with seafood. You can also make an easy dill sauce by blending sour cream or mayonnaise (or a combination of the two) with dill, garlic powder, salt and pepper and roasted garlic. 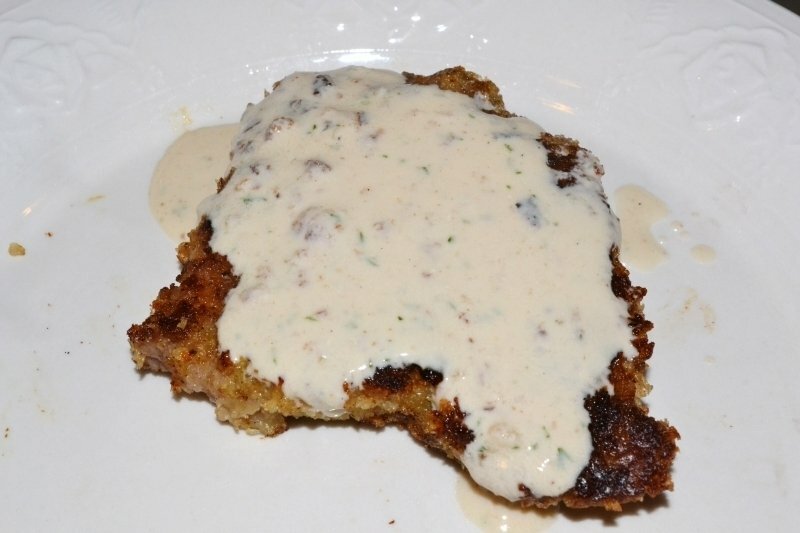 In Austria, a dill sauce is commonly served with schnitzel (breaded pork cutlets). 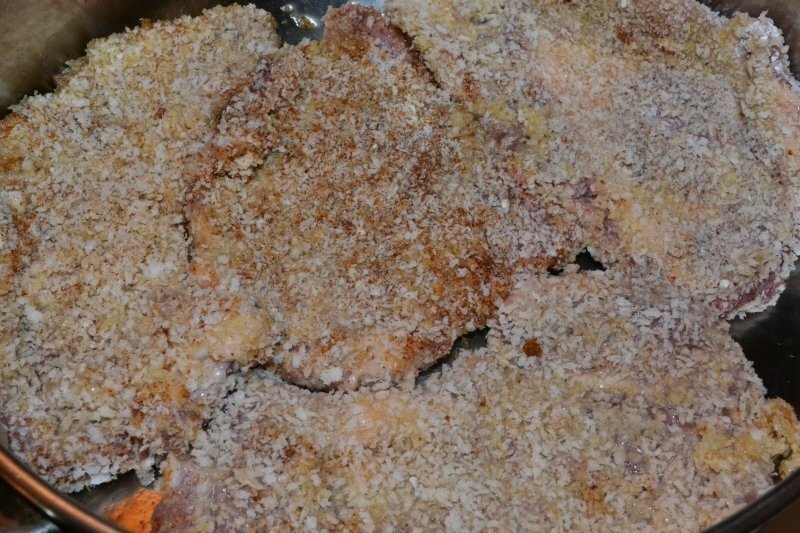 The pan the cutlets were cooked in is deglazed with chicken stock. Dill and salt are mixed into sour cream, then the sour cream is added to the pan to make the sauce, which is then served over the cutlets. 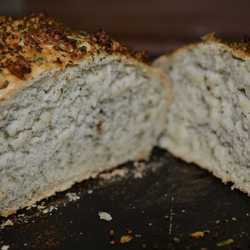 There are a number of different recipes available for dill and onion bread. I prefer the ones with cottage cheese, honey and wheat germ (they sneak in a little extra nutrition). Dill is a key ingredient in Polow, a Persian (Iranian) rice dish. The rice is cooked, then combined with yogurt and saffron. It is then layered into a pot (the middle layer being made of dill and pistachios) and then steamed. Dill is such a versatile herb, yet many people think of it as just "that pickle herb." You can use it for so much more that that. The ideas I've presented here are just a few to get you started. Try something new with dill today.